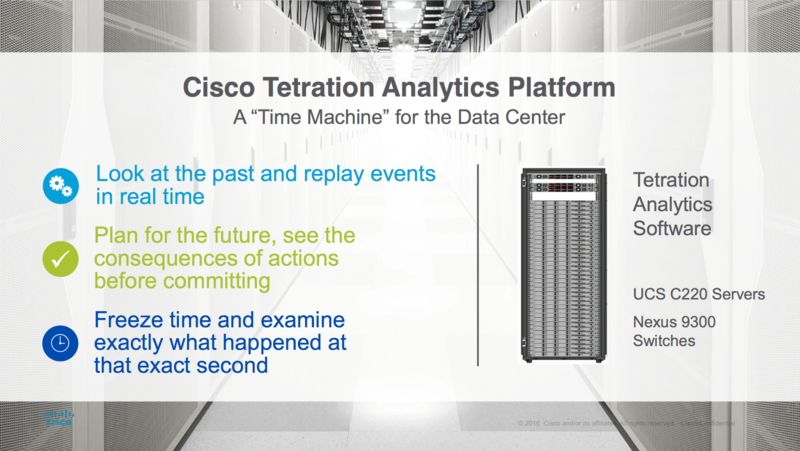 Cisco introduced a new datacenter product yesterday (june 15 2016): Tetration Analytics. 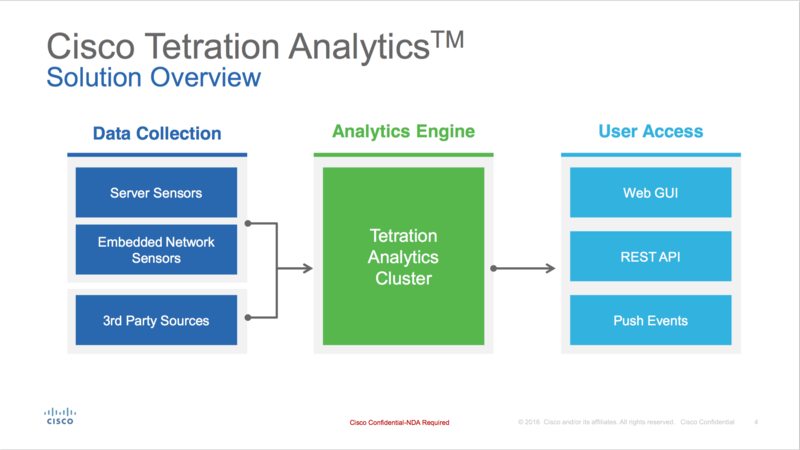 Tetration uses sensors to capture all the required data. 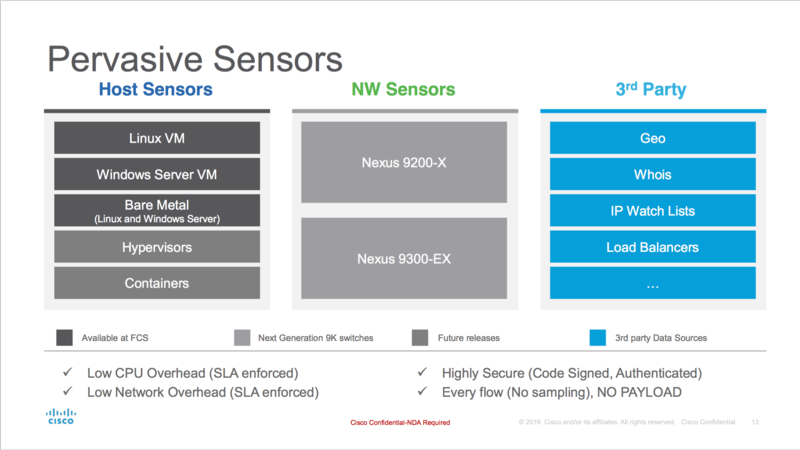 These sensors are embedded into Cisco Nexus 9000 series switches. Host embedded sensors are available to install for Windows and Linux. 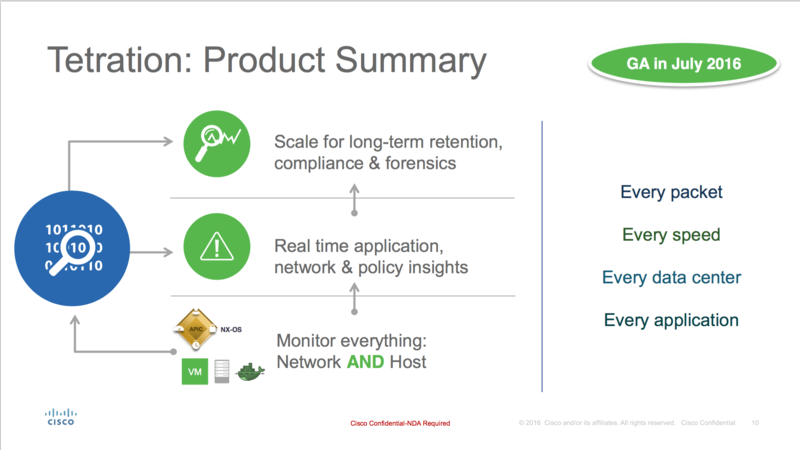 Network sensors are available on Cisco Nexus 9200-X and 9300-EX series switches. 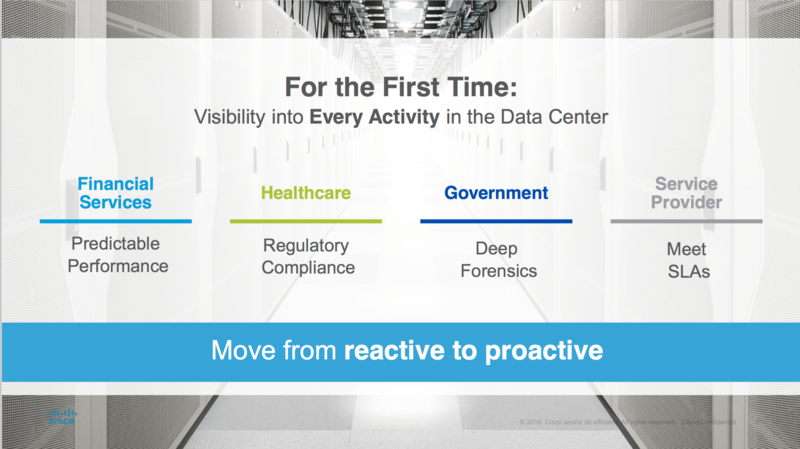 The Tetration appliance captures all data for analytics, regardless the sensor. 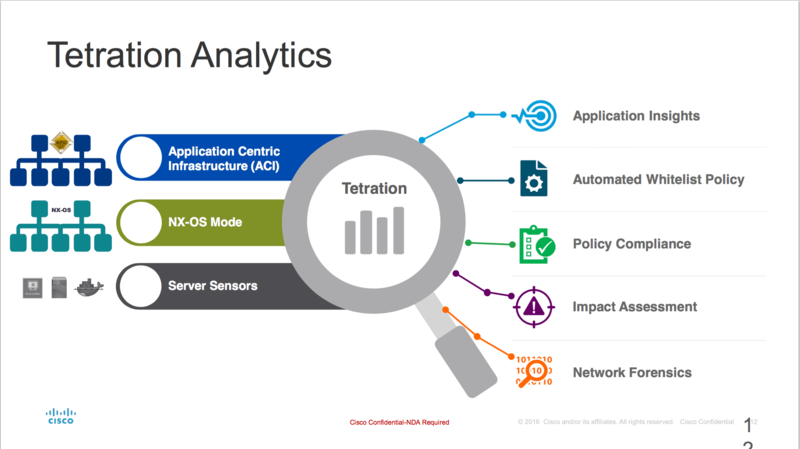 Cisco Tetration Analytics is a new product which fits into Cisco’s datacenter portfolio. It’s an solution for a problem which exist for many many years: data analytics was never possible with this kind of detailed information. 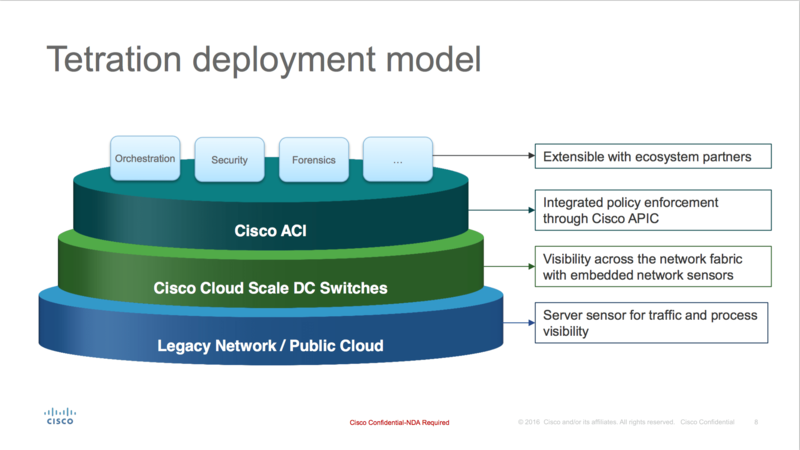 Everyone was looking for this information for the last 5 years and it finally came available, thanks to Cisco. 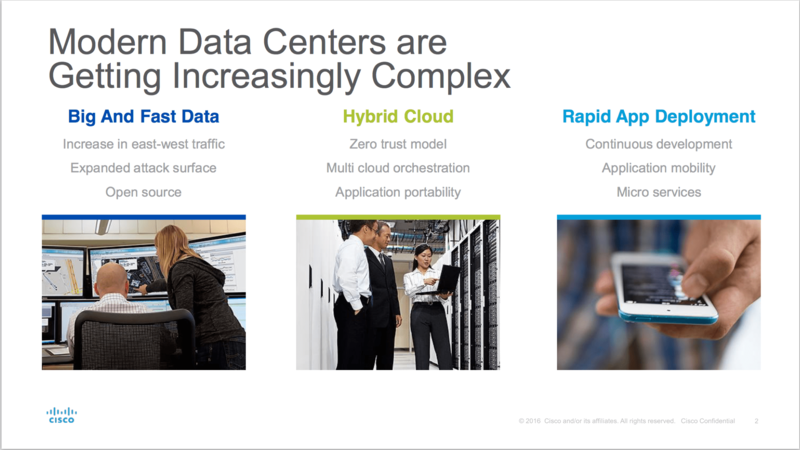 The focus is currently for big data environments but I’m sure it will adapt to any size datacenter. This product is brand new and the current features are looking pretty good but there is still a lot of work to do for the engineering team working on the product. A lot of features are still to come!